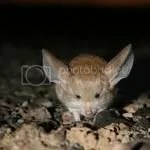 ZSL releases the first known footage of the long-eared jerboa in the wild, an extraordinary mammal found in the deserts of Mongolia and China. The tiny creature looks like a mouse-sized kangaroo with enormous ears. In addition, be sure to check out video footage at EDGE Blog. 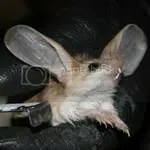 It would be very sad if jerboas went extinct. a flying elephant is cute. err… a flying rat is hard to say. 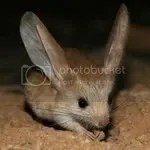 but a flying fly of course,is disgusted..
why no one tells me that fly is going to be listed on the IUCN red list?but such cute jerboa is going to die out! awwwwwwww that is soooooo cute, i wish they weren’t endangered, that are darling.